New Year. New bug. We kicked off the New Year by participating (albeit unwillingly) in the GI outbreak that hit our local Vancouver hospital, community - and with annoyingly great precision, our household. The result? A few unwell tummies, a well used washing machine and a deep, long lasting relationship with Cleanwell All Natural Liquid Hand Soap. 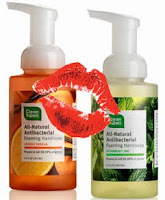 In fact, it would be perfectly accurate to say Cleanwell liquid hand soap has become our new BFF. Sounding a wee bit over the top? Perhaps, but when you're hit with an onslaught of nausea, aches, pains and more, having something in hand to help fight those germs that you don't really understand is well, empowering. We've always liked Cleanwell's range of pure and natural products, but here are five reasons why we really like their liquid hand soap - in particular - now. 1. 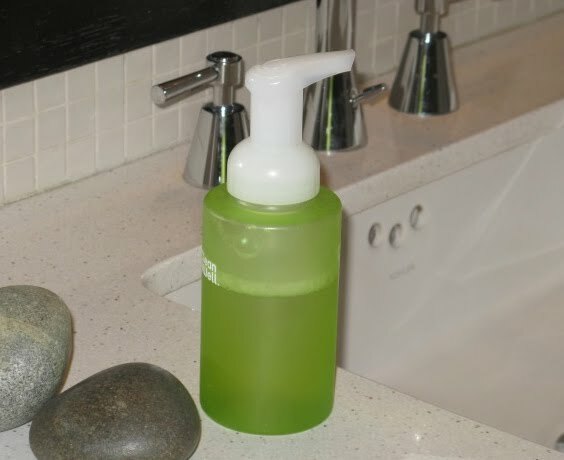 Lab proven to kill 99.9% of germs on contact, including MRSA, Salmonella, Staph, and E. coli, Cleanwell hand soap gives us confidence that with every wash it truly is helping fight the germs that are making us sick and is preventing them from spreading to other members of the family. 2. It's free of parabens, triclosan and other potentially nasty chemicals so no matter how many times we wash our hands - which feels like hundreds and hundreds these last few days - we know we aren't absorbing toxins through our skin. There's no alcohol either, which means no dry, scaly skin. 3. You can easily peel the label off the Cleanwell liquid hand soap bottle so you're left with an attractive-looking soap dispenser sitting on your vanity rather than a commercialized bottle. While we've been using Cleanwell for some time, this exciting little discovery was made reading the label's fine print in the wee hours of one recently long, dark, sleepless night while hanging out in the bathroom. 4. Our kids call Cleanwell the 'easy soap' as the bottle features an extremely easy pump action. The top of the pump you press down on is a relatively large, easy target for little hands and with one push there's oodles of all natural foam to wash (and play) with. The result is the kids are keen to use the pump and keep their hands clean too. 5. The scents are pleasantly natural, not irritatingly artificial-smelling and a very welcome, soothing change from the less than appetizing aromas resulting from stomach flu. We've found the spearmint lime scent to be particularly uplifting when there's seemingly no end in sight. 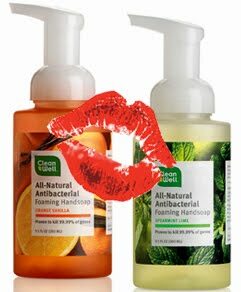 Cleanwell natural antibacterial liquid hand soap is available in Canada along with a range of other Cleanwell products at eco boutique Lavish & Lime. If you have any thoughts or ideas about Cleanwell or fighting germs in general, we'd love to hear from you. Please leave a comment below. Actually they recently changed the product with an label that does not peel off (to our complete dismay). I have been back/forth with Clean Well and discovered their product team decided to eliminate this feature to make the CW product available to more people (cheaper) but yet they see more profits (the cost is the same from a consumer standpoint). Hmmmm. Anyway, we have been looking and looking for a replacement (white) for one of our dispensers that fits with modern simple decor (we do not leave labels out) because our toddler broke the pump (throwing). Impossible to find something very minimal without weird rounded (bad) modern design. If you find anything DWRish...let us know!